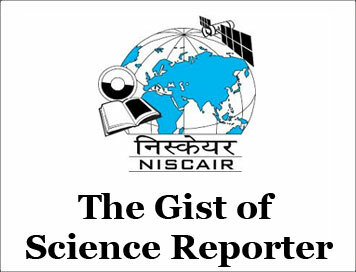 (The Gist of Science Reporter) Gripping ISRO Story by an insider [JUNE-2018] | IAS EXAM PORTAL - India's Largest Community for UPSC Exam Aspirants. Not long ago, Indians gloated over the success of their Mars mission in the very first attempt and some two years later on becoming the first country in the world to send 104 satellites in one go. The Indian Space Research Organisation (ISRO) plans to land a rover on the other side of the moon, near its south pole a few months from now which none of the space faring countries has ever attempted. Indian truly deserves an honourable place among the top space powers of the world. To known the full story of the Indian space programme, which is both enigmatic and inspiring, the book, ISRO – A Personal history is a must read. It’s not only informative but also makes for pleasurable reading. The authors are an ISRO pioneer, R. Aravamudan and his wife Gita echo had been a journalist . It is interesting to note that the US had given similar treatment to Pakistan. Pak scientists’ basic capabilities were similar to those of Indians. They were also seeking to set up a sounding rocket launch pad at Sonmiani Beach near Karachi. In fact, Pakistan edged ahead of India by launching its first sounding rocket Rehbar-I on 7 June 1962 whereas India could send its first from Thumba on 21 November 1963 . But where is Pakistan now in space technology vis-a-vis India? Aravamudan comments , “Without Sarabhai, India’s space programme might have ended in the same doldrums as Pakistan’s. What were the key decisions that made all the difference“! Did the attitude of politicians of the time help? What had been the impact of cold war politics on the Indian space programme? Who were the heroes who dedicatedly built the backbone of Indian space technologies? How did India seek collaboration with major space organisations of the world? How the private sector was involved since the very beginning in developing components and supplies of raw materials? How labour unions became a big problem when a VW management culture was being introduced in ISRO? Technology development issues are interspersed with hundreds of general interest and revealing anecdotes. Public excitement was immense every time scientists sent a rocket in the sky. During one such launch, the Kerala Legislative Assembly was adjourned temporarily to have a look at the bright vapour trail in the western sky. Such an orange vapour light no one had seen before. Newspapers carried reports of how people came out of doors to see the miracle. The only available transport to the launch station those days was a cycle and “APJ Kalam did not know how to cycle and had to hitch rides with others”. Rocket parts also used to be carried on pillion, and bigger equipments on bullock carts. Scientists working there had no fans, let alone ACs. They had work often removing their shirts due to the hot weather. The author showers praises on his mentor, Dr. Vikram Sarabhai, characterising him as a leader who taught how to approach a problem, how to innovate, how to learn from one’s own mistakes and work as a team. His leadership style came in sharp contrast when ISRO was expanding and family-like relations were being replaced by formal business-like approach. The new generation may be surprised to know that despite his doctorate in Cambridge, Sarabhai always wore khadi kurta pyjamas and Kolhapuri chappals and wore an India-made HMT watch. On formal occasions he would wear a bandh-gala coat over pants and shoes. “His casual attire changed the dressing culture in ISRO and scientists left dressing in suits and ties. Wearing chappal became the norm.” The chapter on Sarabhai details many unknown incidents, rumours, controversies, also his much-whispered love for another woman, Kamala Chaudhary. The Sriharikota launching facility was ready by 1971 which was modest by international standards. Who could have imagined, the author writes, that a few decades later it would be one of the most important spaceports of the world. Indian scientist-engineers used American Nike-Apache rockets during the early sounding rocket phase. Rockets indeed were available for a price from friendly countries , but technology transfer was a strict no-no. Indians built their own sounding rocket, Rohini-75 and used it first in 1967. They then developed more and more powerful rockets, finally showcasing their capability to send a 1982-kg payload in the geosynchronous orbit in 2014. Launch pad and rockets apart, the development of satellites has its own history which also is very well presented.successful development of satellite launch vehicle was an important milestone in the journey though developed five years later than the proposed deadline and that too crashed into the Bay of Bengal a few minutes after taking off. Kalam and his team was depressed. But there is no space organisation in the world that has not witnessed such failures. Scientists did not give up in despair. The errors in SLV-3 were identified, corrections were made and the second attempt a year later was successful. The development of the Geo Synchronous Launch Vehicle (GSLV) with our own cryogenic engine was even more challenging. India could have started developing the cryogenic technology in the 703. French collaboration was available. But ISRO did not consider this proposal seriously. This mistake wasted several decades. ISRO finally developed a GSLV coupled with its own cryo~ engine to take off on 15 April 2010. Alas! It did not succeed. The first success came about on 5 January 2014 when GSAT-l4 was put in a synchronous transfer orbit. What a meticulous , flawless mission! The world praised Indian scientists. The book is a testament to Indian scientific ingenuity and prowess.